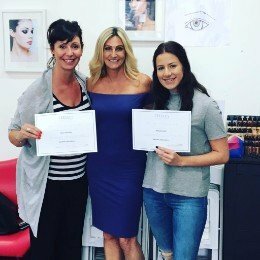 No Matter where you are in life , or what study or career goals you may have for your future, there are now more choices than ever in the beauty industry. In the last 5 years , the beauty industry emerged as one of Australias largest employment growth areas. Ceecees has a qualification or training course program that is right for you. have you been thinking about changing careers or wanting to just have another skill set? Maybe you have a full time job and just want some extra money on the side or you would like to be part of this amazing growing industry and become an industry expert working in salons. maybe you would like to start your own business from home working your own hours , earning your own money and being your own boss. Have you had a family and don’t want to go back to work full time and would like to work your own hours around your kids without the cost of childcare. Whatever your choice our industry -focused training are designed for people Like you. We also have industry connections to help place you in employment . Our industry-focused training is designed to advance your knowledge and technical skills. A range of courses are available and delivered by Cert 4 trainers with many years experience in a professional studio and workplace environment where you will feel comfortable and at home whilst you learn . 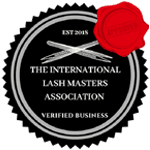 Carole and her team are so passionate about training and education and get great pleasure out of passing on their years of experience and seeing the progress and success of our many students . Kick start your career today and get the rewards you deserve. The training is available to all students of any background and age with an ongoing support and mentoring program that is free with no time restraints . Once your up and running we will happily add your profile to our student success story on our website.